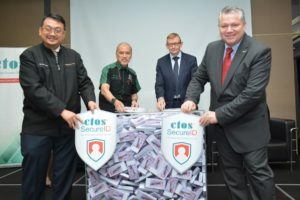 KUALA LUMPUR, November 15, 2018 – Today, CTOS Data Systems Sdn Bhd (CTOS), Malaysia’s largest credit reporting agency introduced CTOS SecureID to the Malaysian public, a cybersecurity solution that will protect consumers at home and on-the-go. Given the potential risks involved, there naturally exists another, mutually exclusive segment which remains wary of the shift to ecommerce. 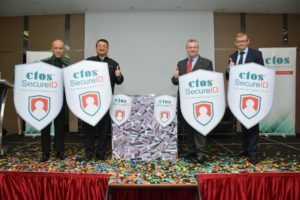 The launch of CTOS SecureID reaffirms that while cybersecurity threats do pose significant risks to the unprotected consumer, with the correct tools, one’s digital identity can be quickly and easily made safe. Signing up takes a matter of minutes and CTOS SecureID is able to instantly protect a consumer’s personal identity, digital data and financial information as well as provide alerts via SMS or email about changes in their profile, including new credit applications, missed payments, changes in credit limits and closure of credit facilities across all their accounts. These automated procedures allow suspicious account behaviour to be identified and proactively resolved without the consumer having to constantly and manually check and update various different sources. “Payment trends in Malaysia have clearly and quickly been shifting to ecommerce. From cyclical utility bills and instalments payments to online shopping and even when having food delivered, cash is going out of fashion and more people are choosing to pay digitally. A parallel to draw here, is as we keep cash, credit and ID cards close to us in a purse or wallet, engaging in ecommerce without the proper security is tantamount to leaving your wallet unattended in the street. 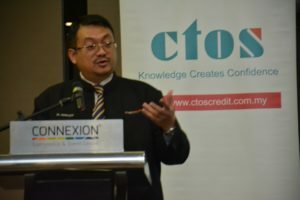 With CTOS SecureID, consumers can now enjoy the convenience and speed of ecommerce while confident that their digital identity is not lying out in the online street where anyone can access their money and data.” said Dennis Martin, Group CEO of CTOS Holdings at the launch of the cyber security solution. Subscribers to CTOS SecureID will also receive support in the form of the latest information on scams and prevention tips, support for issues related to identity theft and up to four MyCTOS Score Reports a year. For RM99 anyone can now enjoy an annual subscription to CTOS SecureID and the peace of mind that comes with it.